1. Press the garlic (2pieces), add ground pepper and finely chopped lime grass. Marinade the prawns and snow fish in this mixture for 10 minutes; then grill until browned each side. 2. To make a seafood sauce, mix garlic (3pieces) with coriander root, Siamese ginger and chilli then season with soya sauce, palm sugar and lime juice. 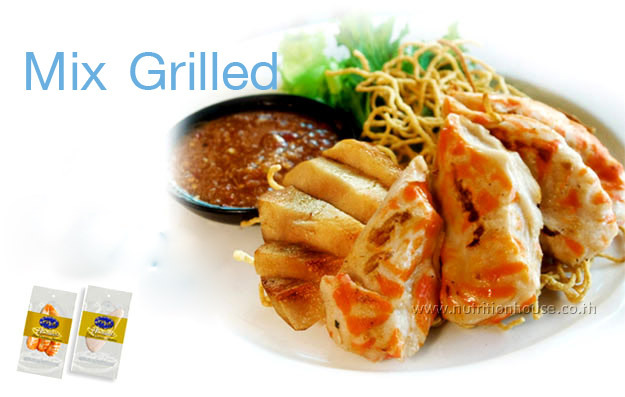 Using the deep fried egg noodles as a base, top with grilled prawns and grilled snow fish; then serve with seafood sauce.